As the harvest season ends and huge combines begin clearing the fields, I always think of the legend of the Corn King. 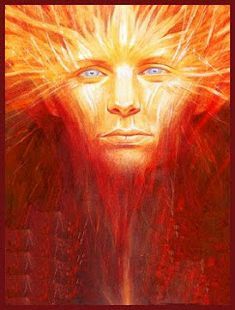 The Corn King is a ruler who is sacrificed ritually every year to fertilize the earth, so she will bear a rich harvest. He has appeared in almost every culture, from ancient Egypt and Sumeria through the current day. Author Stephen King used the legend in his short story, Children of the Corn, on which a very creepy video series was later based. King has also made a distinction between "inside horror," based deep in human motivations and fears, and "outside horror," based on non-human threats, such as zombies, ghosts, aliens and the like. For me, the inside sources of horror are always far more frightening than external monsters. One of the most disturbing tales based on this legend is Thomas Tryon's novel, Harvest Home. Originally published in 1973, it is out of print, but available digitally. Beth and Ned Constantine decide to leave the stresses of city life and find a nice rural setting in New England, with their defiant and asthmatic teenage daughter, Kate. Cornwall Coombe seems the perfect spot––tranquil farm country set in rolling hills, with a friendly, welcoming community. There are a lot of characters to track in this book, and the reader is always way ahead of poor oblivious Ned, but despite what now seems like a rather trite plot (many authors have used it since), Tryon was first with the story––and best, many think. And the actual ending is so terrible that you will not be able to forget it for years. If you enjoy slowly building suspense, with an unexpected and unforgettable ending, you might want to have a look. Harvest Home is an excellent story of "inside" horror, perfect reading for a gloomy October day. 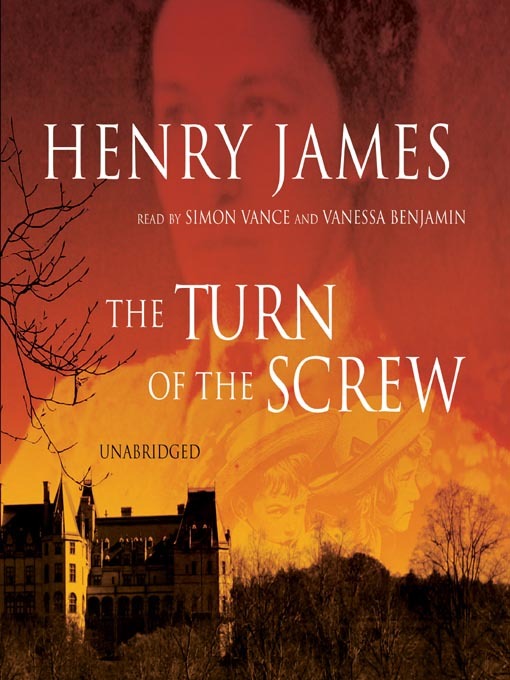 Another much-loved classic, never out of print, is Henry James's short novel, Turn of the Screw. The narrator, now deceased, has written the tale to a friend who reads it aloud. The narrator is a governess to two orphaned children, Miles and Flora, in a gloomy suburban mansion. Their guardian is their uncle, who lives in town and does not want to be bothered with the care of the children. The narrator (never named) gradually comes to suspect that her charges are sometimes possessed by two ghosts, those of her predecessor and her lover, who sometimes indulge in sexually suggestive behaviors. Can this be true, or is she herself going mad? While this is actually a novella, only about 100 pages, it is by no means a quick read. James is as dense as Dickens to read. Edgar Allan Poe's The Tell-Tale Heart is another first person narration by a questionably sane teller. The narrator has murdered an old man––we never really know why. "I loved the old man. He had never wronged me! For his gold I had no desire!" The old man had a "clouded, blue, vulture-like eye" that apparently so offended or terrified the narrator that he meticulously planned and executed a murder, afterwards dismembering and hiding the body. But the old man had let out one scream, and suspicious neighbors later called in the police. Part of the general weirdness of this story is its dissociation. We never learn the setting, or the actual relationship between murderer and victim. Poe himself had wild bouts of instability and drunkenness, and most of his stories are very dark indeed. 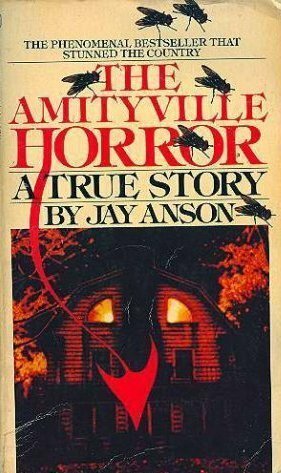 I have never read Jay Anson's The Amityville Horror or seen the movie, but have the book in my queue for reading this fall. Probably it won't keep me up for weeks. While I'm generally quite skeptical of things that go bump in the night, that whole ugly story of the butchery of one family and the haunting of another in that pretty suburban house gives me the cauld grue. And some buildings do have presences. I can far too easily imagine myself in Kathleen Lutz's position, offered a mansion at an incredible discount because murder had been done there. I'm a skeptic, not a believer in ghosts, I'm mostly sure. Might I have jumped at the chance? Quite likely, a bargain in waterfront Dutch Colonials doesn't come along very often. Would you have bought it? Yeah... I would probably fall for a discounted waterfront Dutch Colonial. I'm a skeptic as well. I found Harvest Home! A hardcover! I'm so stoked! At this point I wish I'd set aside all of October to read just horror. I'm fitting it in where I can. Becky, after finishing The Amityville Horror, I'm glad no one offered it to me! Harvest Home still gives me the creeps - the ending most of all.